Beervana Buzz: John Harris? Who the Hell is He? You've probably heard John Harris is getting ready to open a brewery and pub over on Mississippi and Cook. If not, you heard it here first. John's holding a sneak preview of what he's up to on Sunday, April 28, from 2-4 p.m. He'll reveal what he plans to call the place, among other things. But wait. Who the hell is John Harris? Even if you don't recognize John's photo or know him, you almost certainly know some of his beers if you've been around Oregon beer for any length of time. See, John has been part of the beer scene around these parts for 26 years...and counting. He's what you call an icon, even if you don't know him. John began his professional brewing career with McMenamin's at the Hillsdale Pub. After the Brewpub Bill passed in 1985, Hillsdale was the first pub to take advantage of the law and start brewing. When they advertised for a brewer, John applied. He had some homebrewing experience, nothing more. As he joked when I spoke to him a while back, "I had no experience, but they hired me anyway." That's kind of the way it was in those days. He got off to a rough start. "When I was hired, they told me to bring rubber boots my first day. But I forgot to buy them and showed up in hiking boots. That didn't work out too well when it came time to shovel the hops out of the brew kettle. But they didn't fire me, thankfully." Unknown to many, they were using malt extract to brew at Hillsdale in the early days. They didn't have the ability to mash, so they bought 50-gallon drums of extract and used that. The beers were okay, never great. Other brewers made fun of them. About a year later, they started mashing and the Hillsdale beers eventually got better. Harris was there. 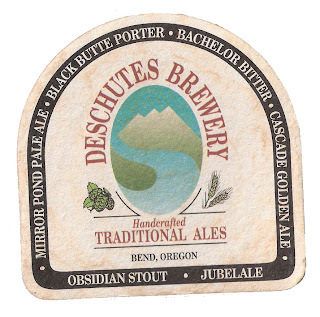 After two years (1986-88), Harris took a job at a little place called Deschutes Brewing in Bend. 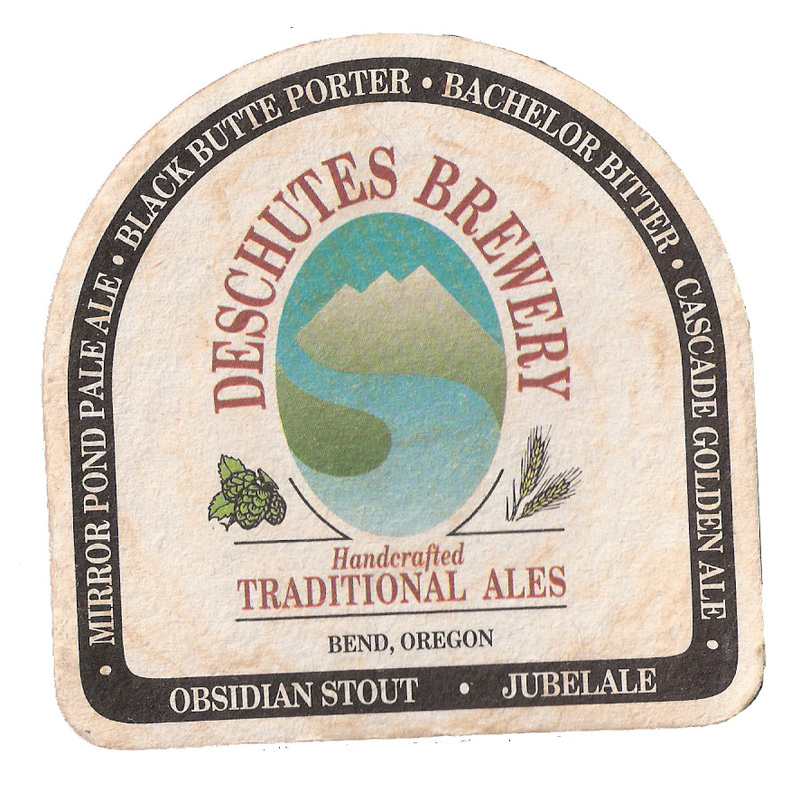 Deschutes was just getting started and he had a major role in developing recipes that were and are infamous in Oregon and beyond. "I developed the recipes for Mirror Pond, Bachelor Bitter, Black Butte Porter and Obsidian Stout…all the good stuff," he said. "That’s where I made my name." Later in his four-year tenure at Deschutes, John hired Tony Lawrence to clean up the place after brewing day. 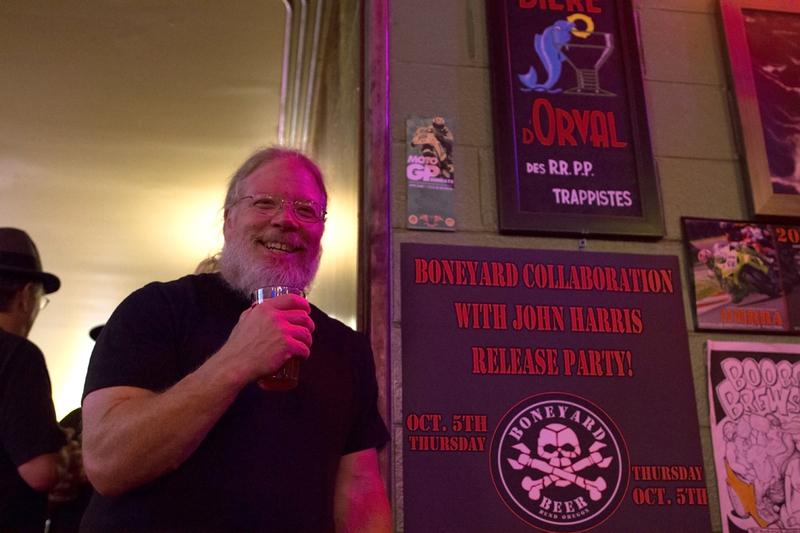 Lawrence eventually left for Arizona, but subsequently returned and launched...Boneyard Brewing. John left Deschutes in 1992 and returned to Portland to work for Full Sail. 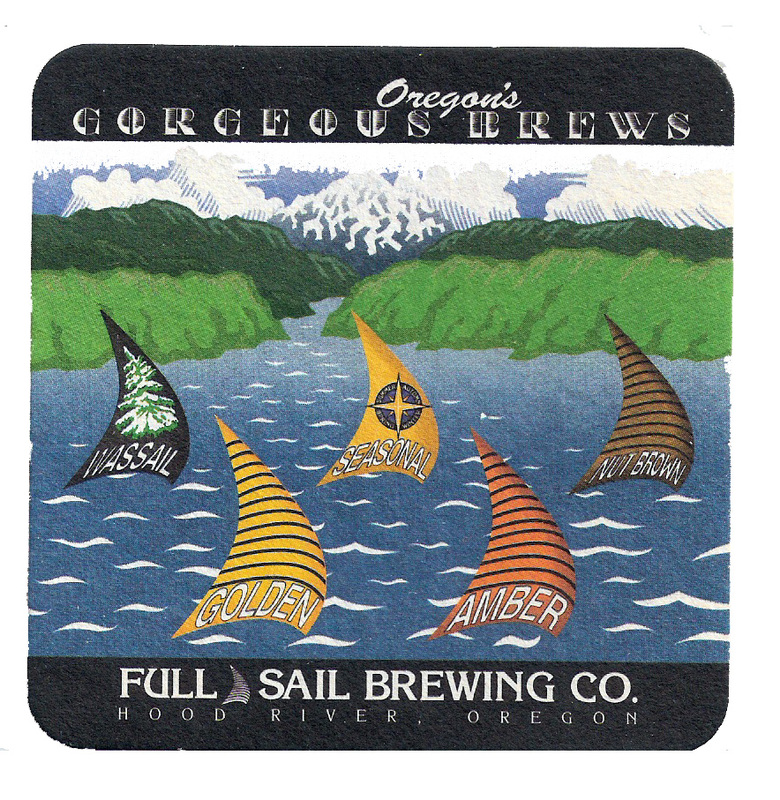 Full Sail had opened in 1987 in Hood River and was well-known...in large part because they were the first craft brewery to start bottling. But they wanted a pub presence in Portland. The Pilsner Room on the South Waterfront seemed the perfect spot. "I moved to the Pilsner Room in 1992," Harris recalled. "The place was still run by McCormick and Schmick. Pretty soon we made all Full Sail's draft beer for Portland in that brewery. We made the first IPA here…in 1994. Later, I started the Brewmaster Reserve Program, which was small batches, special beers. 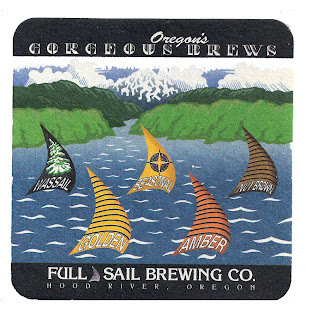 The brewery here was good because it gave locals a chance to taste Full Sail's specialty beers without going to Hood River." Harris left Full Sail after 20 years in 2012. His plan all along was to start his own brewery and pub, but it took longer than he had hoped to find the right location with the right combination of attributes. Now that he has things moving along, it will be interesting to see what he comes up with. Should be good stuff. If you plan to stop by on the 28th, keep in mind there won't be any beer. Not yet. But there are lots of places in the area to get a beer once you've taken a gander at John's plans.